A new $1.85 billion World Trade Centre is being proposed for development, to be located in Perth's city centre. The project's developer, the World Trade Center Perth, has already purchased the old Myer site in Northbridge, and will negotiate with the State Government to purchase adjacent land across the rail line. Their proposal for the World Trade Centre successfully went through stage one of the WA Government’s new unsolicited bids policy and will progress to 'stage two', which involve a detailed assessment phase. Western Australia Premier Colin Barnett said the project would involve developing a unique commercial, residential and entertainment precinct on 1.9 hectares of land between the Perth and McIver train stations. Previously, the Premier was reported to be against the idea, claiming Perth was already an international city and he did not think a World Trade Centre would serve much purpose. However, he has since changed his tune. 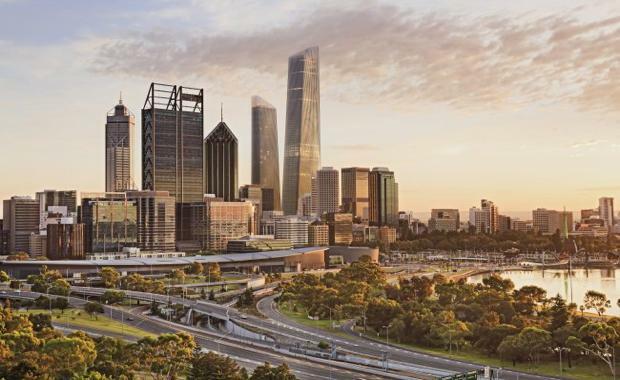 “World Trade Centre Perth is proposing a development that will involve an iconic architectural design to showcase Western Australian capabilities and commercial opportunities, connecting Perth to 327 World Trade Centre locations around the globe,” Mr Barnett said. 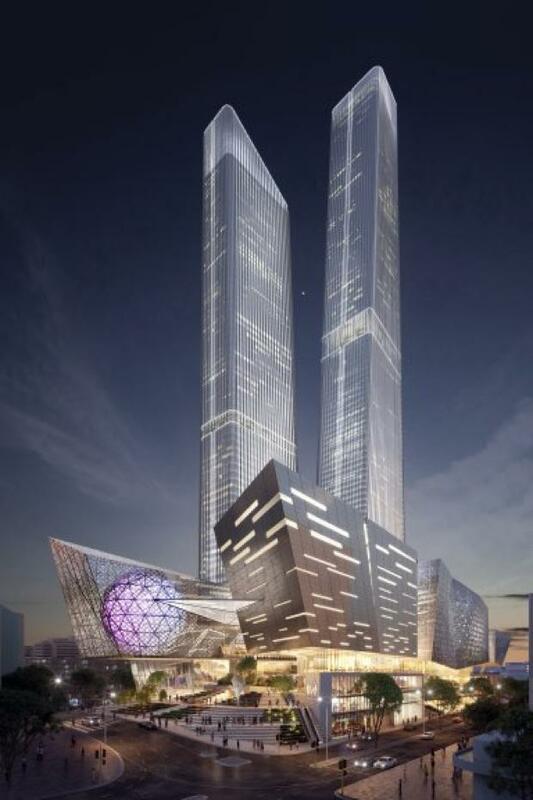 The World Trade Centre Perth proposal includes the construction of two towers, 36 and 75 levels respectively, with associated commercial/retail, residential and recreational facilities which will include building above the existing train line. The proposal will now undergo a detailed assessment and require the proponent to address a number of specific requirements including demonstration of financial and technical capacity to deliver, subject to the proponent entering into a participation agreement with the State Government. 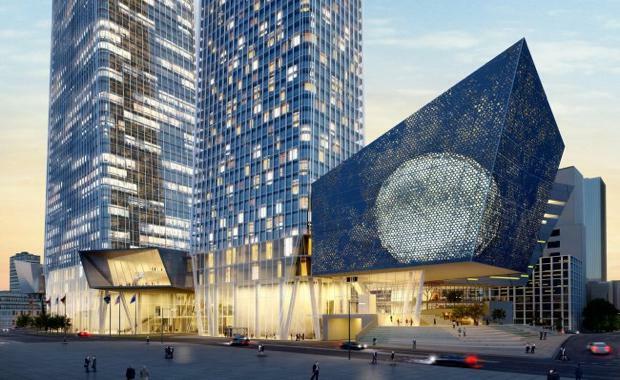 World Trade Centre Perth is backed by Jordanian businessman Ghazi Abu Nahl who is a board member of the World Trade Centres Association, the licensing body for 327 World Trade Centres in more than 90 countries around the world. Images courtesy Government of Western Australia.